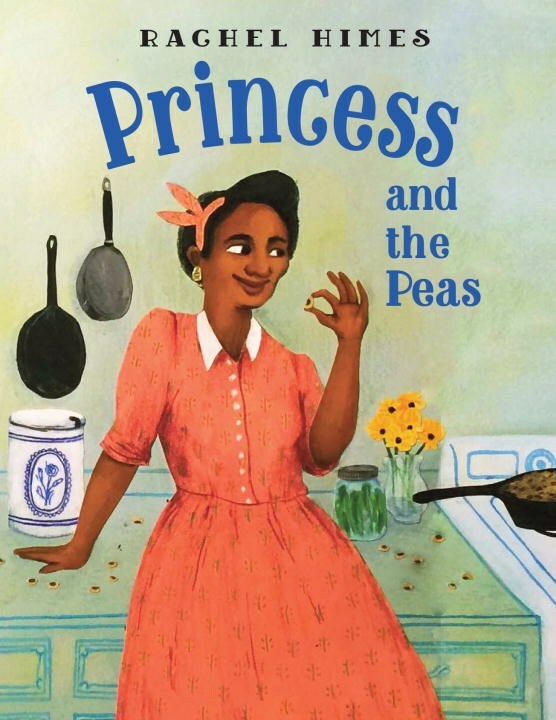 Princess and the Peas by debut author-illustrator Rachel Himes is a twist on the classic Hans Christian Anderson fairytale "The Princess and the Pea." But instead of watching a woman's royal identity become uncovered by testing her physical sensitivity, this story is about a woman taking control of her own destiny. 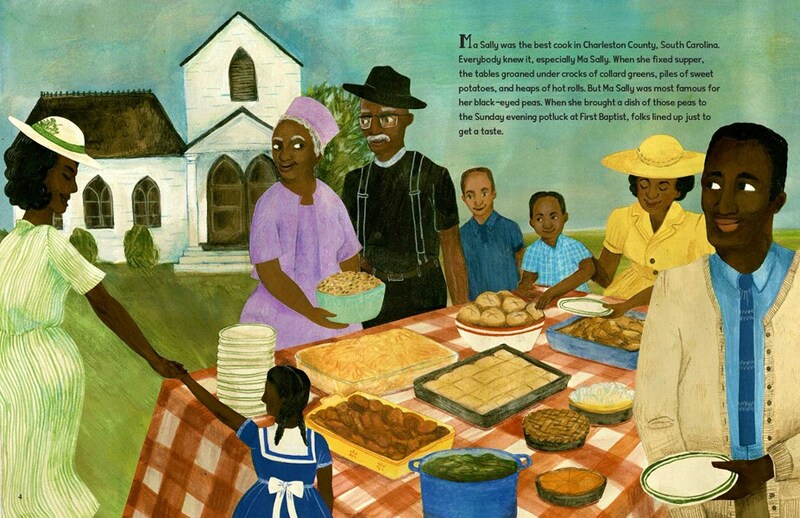 Ma Sally makes the best black-eyed peas in Charleston County, South Carolina, and when her son John decides he's ready to find a wife, she decides that no one can marry her son until she proves that she can cook. A surprise contestant named Princess enters the competition, and though it's no surprise to know that she wins John's hand in marriage, her answer to his proposal is what sets this book apart. 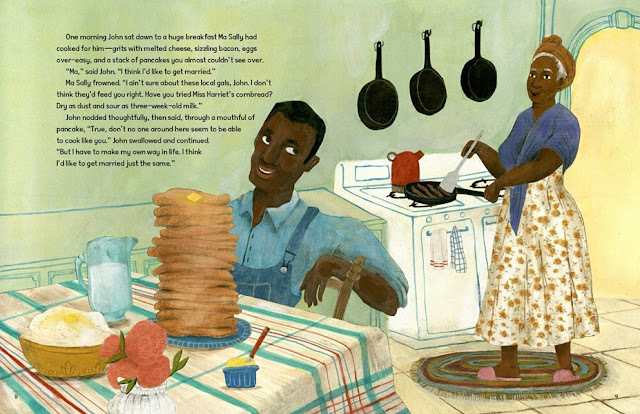 The painted illustrations in this book are beautiful, warm, and full of energy. Color spans the entirety of every single spread, and each is rife with detail. The very first image readers see -- even before the title page -- is Princess rolling into town on a train. It's wordless, but it sets readers up to follow her throughout the book before she's even officially introduced. We can see her moving about in the background (we even see her meet John! ), and this detail makes for a fun reread. Princess and the Peas published from Charlesbridge Publishing last month!